Samsung pioneered the phablet category with its Galaxy Note devices. Each new Note device came with a bigger screen than its predecessor. However, the success of Samsung’s Galaxy S10E in markets like Europe might have forced the Korean company to rethink its strategy. A new report coming out of South Korea claims the company is going to launch the Note 10 in not one but two sizes. Will the second size be called Galaxy Note 10E? Supply chain sources familiar with the matter told Korean site The Bell that Samsung is going to introduce major design changes with the Note 10. For the first time in the history of Note series, there will be two models of Note 10. The company is considering offering a relatively smaller Note 10 following the success of Galaxy S10E. The S10E has a 5.8-inch display compared to 6.1-inch of the standard S10 and 6.4-inch of the S10 Plus. The standard Galaxy Note 10 is rumored to sport a giant 6.7-inch Quad HD Super AMOLED Infinity-O display, same as the upcoming Galaxy S10 5G variant. The Galaxy Note 10E could have a 6.4-inch or even smaller display. The Galaxy S10E has demonstrated that there is a huge market for devices smaller than six inches. There are a lot of people who don’t want phones that are too large to hold comfortably in one hand. Last year’s Galaxy Note 9 had a 6.4-inch display. Thanks to Samsung’s push for increasingly bezel-less design, the company will be able to pack bigger displays without significantly increasing the form factor of the upcoming phones. It will be interesting to see whether the larger of the two Note 10 models will be called Galaxy Note 10 or Note 10 Plus. If Samsung goes with ‘Plus’ moniker for the larger size, the smaller one could be called Note 10 instead of Galaxy Note 10E. The smaller version could also have a lower price tag. Samsung made a few compromises on the S10E to keep its prices down. Only time will tell whether the Note 10E would also have watered-down specs. 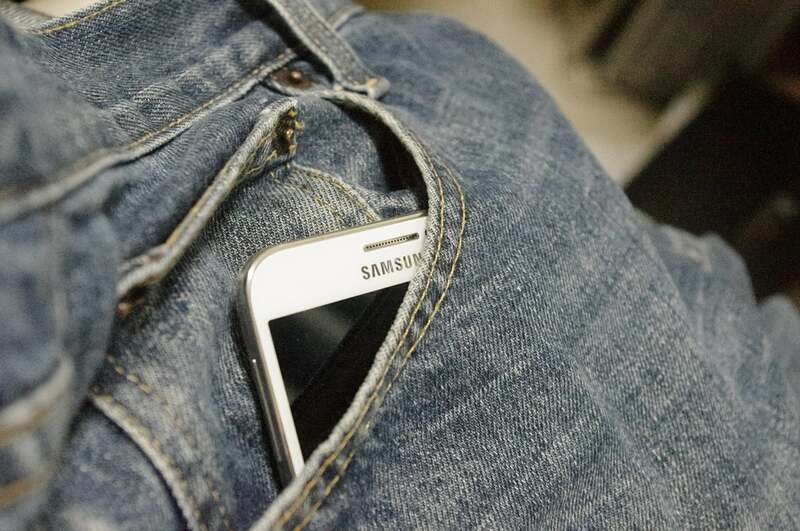 Just a few days ago, Korean site ETNews reported that Samsung is going to ditch all physical buttons with the Note 10 series. It means there will be no volume rockers, power button or even Bixby button. The Korean company would rely entirely on touch and gesture-based inputs. Samsung is working with China-based pressure sensitive sensor manufacturer NDT for Note 10’s buttonless design. Samsung has been developing Note 10 under the code-name Da Vinci. We have already seen a few buttonless phones in the market, but they haven’t received a positive response from consumers. HTC’s U11 had a squeezable frame to let users perform different actions by squeezing the frame of the phone. Anyway, the buttonless design would lead to better water- and dust-resistance, and reduce the points of failure in the upcoming Note phablet. Past reports suggest the Note 10 would feature four cameras on the back. Samsung recently purchased Israel-based Corephotonics, which indicates that the Israeli startup’s lossless zoom technology could be used in the Note 10 cameras. The upcoming phablet is expected to run Qualcomm’s Snapdragon 855 or Samsung’s in-house Exynos 9820 depending on the market. But Chinese tipster Ice Universe reports it could feature an upgraded Exynos 9825. There will also be a 5G variant of Note 10, just like the 5G variant of Galaxy S10. The Note 10 would run Samsung’s custom One UI skin on top of Android 9 Pie. The One UI interface has a natural and intuitive experience. It uses the top half of the screen to display content and the bottom half for navigation. It keeps the navigation options within the reach of your thumb. Samsung is expected to unveil the Galaxy Note 10 and Galaxy Note 10E sometime in August. Last year’s Note 9 was unveiled a couple of weeks before the IFA trade show. This year the IFA expo is taking place on September 6th. There is little clarity on the price but Note phablets aren’t cheap. We wouldn’t be surprised if the larger Galaxy Note 10 is priced above $1,000. Last year’s Note 9 had a starting price of $1,000 for the 128GB variant and $1,250 for the 512GB storage model. The Galaxy Note 10E could be priced below $1,000.